Not quite two weeks ago, on Thursday October 19th, something happened to throw local air quality conditions into the red zone for most of the day. 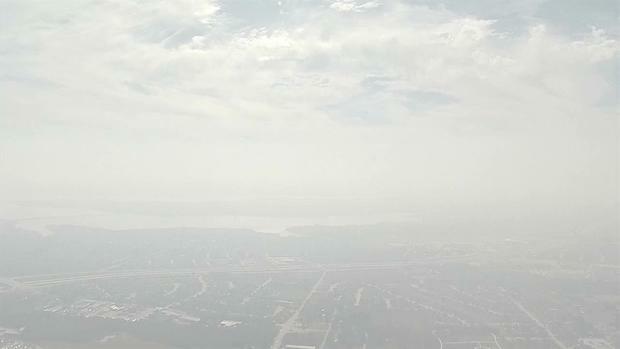 There was a inexplicable smokey haze extending along the limestone escarpment from Midlothian to Dallas and then north to Denton, sending Particulate Matter pollution soaring to Beijing levels and ozone readings so high the whole regional average went up a part per billion. Countless downwind residents complained to officials, FaceBooked, and Tweeted about “the smell of burning plastic” enveloping their neighborhoods with the smoke, which was so thick many thought the problem was just down the street. The 24-hour standard for Particulate Matter Pollution is 150 ug/m3. The annual standard is 12. 70 ppb is the new ozone standard. 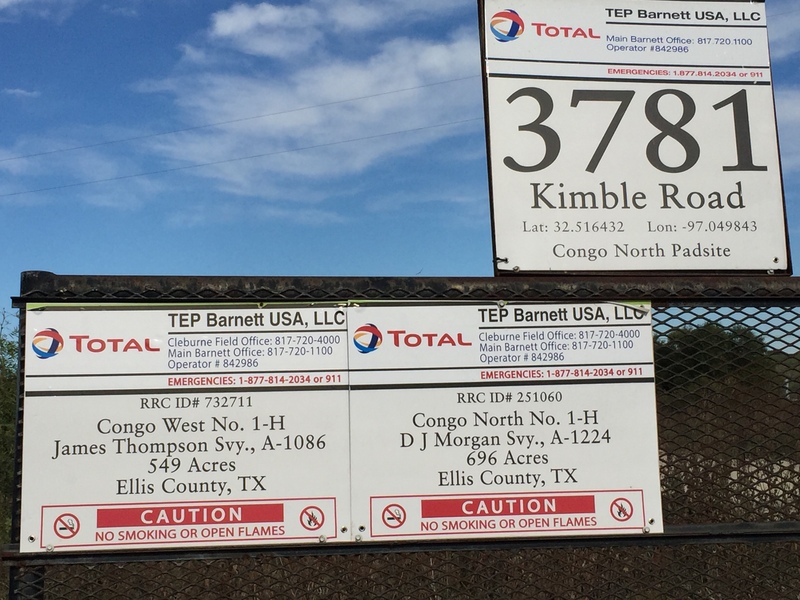 The events took the Texas Commission on Environmental Quality completely by surprise. Commission computer forecasting had not predicted an Ozone Alert Day or warned of heavy PM pollution. Officials were playing catch-up for the rest of the day. Now almost two weeks later nobody official knows what caused this Really Bad Air Day. Not the EPA. Not the Texas Commission on Environmental Quality. Not the DFW area citizens who breathed in the dirtiest air their lungs have seen all year. Despite the sophisticated technology available to us in 2017, a single unexpected incident upwind of DFW can throw the entire North Texas air shed into the danger zone with no warning and no clue as to what initiated it. Readings from state monitors were of no help until damage had already been done. As usual they were two hours or more behind in reporting. The numbers they were displaying at 12 noon were actually taken at 10 am. You had no idea what was going on in real time so that you might better protect yourself or family. There are only three or four Particulate Matter pollution monitors in all of DFW. Even if you’d wanted to use the state’s current monitoring system to track this mystery plume, you couldn’t have done so. It doesn’t have that capability. Then it was maybe one or more “controlled burns” in the Midlothian-Mansfield area. As it turns out, neither fire department found evidence of any permitted controlled burns in their own jurisdictions that could have cause so much pollution. Midlothian’s single permitted fire for the day was “the size of a coffee table” according to a department employee. Please note the caution against open flames. Could a fracking site have produced the kind of particulate matter pollution and haze we saw on October 19th without methane or other kinds of pollution being released en masse as well? It doesn’t seem like it could. But what if the fracking site had been turned into a temporary waste incineration site for the day? 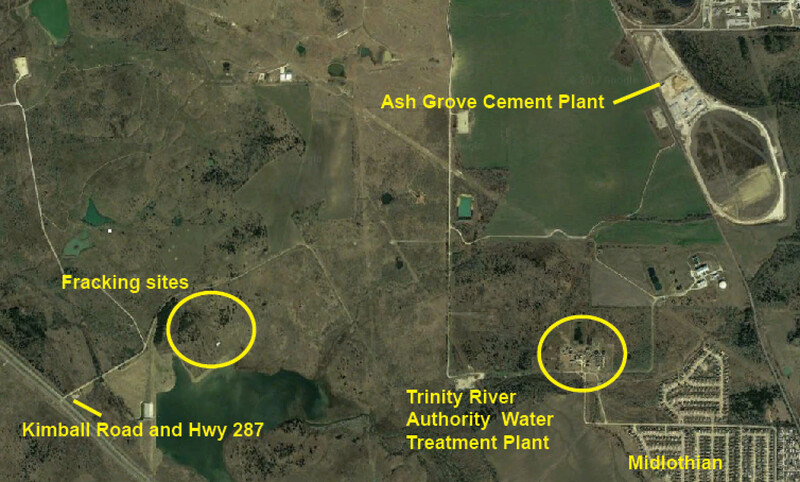 Besides the fracking sites you can be see in mid-drilling on this Google street level tour, the road leads to a Trinity River Authority Wastewater Treatment plant and the back door of the giant Ash Grove cement plant. TRA is a shadowy, 60-year old regional bureaucracy that owns millions of acres of land, reservoirs, landfills, and wastewater-treatment facilities. It’s been in environmental hot water before. Wastewater treatment accumulates a lot of solids, and the TRA handles a lot of trash. It’s not inconceivable that it had something to do with the October 19th incident by thinking it could get away with an open burn on its own property. Ditto for Ash Grove. Like the other two cement plants in Midlothian, Ash Grove’s kiln is allowed to burn industrial waste, including used oil, tires and plastics – remember the oft-cited “smell of burning plastic” citizens reported on the 19th? Waste-burning cement plants have had their wastes combust and cause huge fires before and each plant has its own emergency response crew which might be able to put out a fire without calling Midlothian. There’s no proof Ash Grove, TRA or the fracking sites were the cause of the October 19th public health disaster. But there’s also no proof yet they didn’t cause the problem. The truth is: there’s no official explanation for what made the air so dangerous to breathe on October 19th . More truth: As of Friday, October 27th the TECQ had not even opened an official investigation into this matter – which again, sent Particulate Matter pollution to levels not seen outside SE Asia and single-handedly raised the regional ozone level. 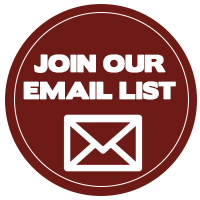 TCEQ has until November 10th to respond. We’ll keep you posted. In the meantime, this episode becomes Exhibit A in why DFW needs to catch-up with other metro areas and build its own network of high tech air quality sensors. If such a grid had been in place, there would have been a real time warning of the PM and ozone pollution being generated shortly after the it started. There would have been a way to locate the source of the pollution right away and do something about it before it got worse, and there would have been a way to predict the plume’s course and warn those in its path before it got there – not two hours after it arrived. 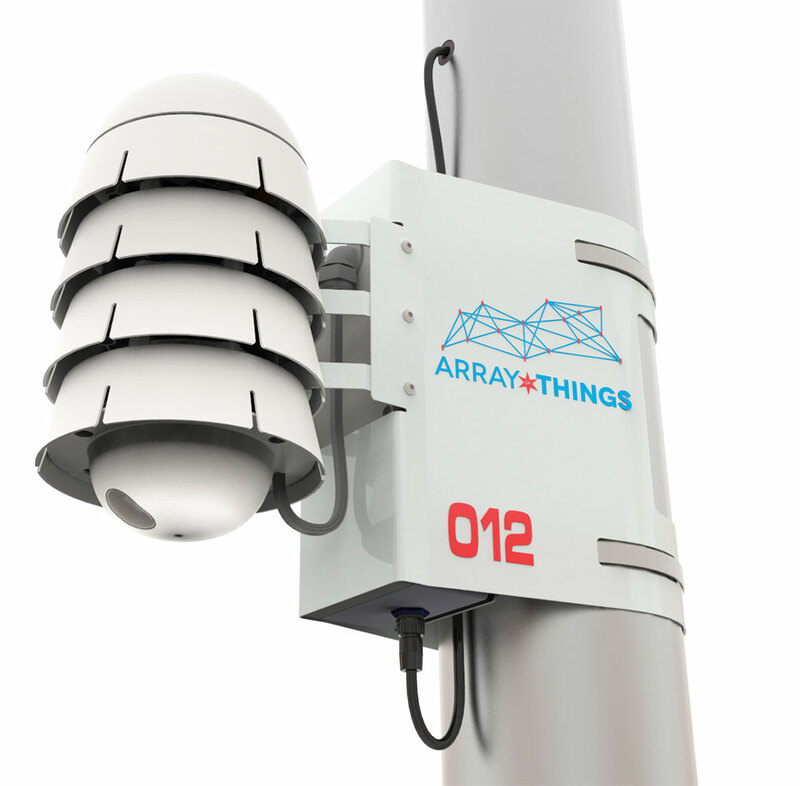 In this sense a modern sensor grid is actually a pollution prevention device, an investigative tool, and an early warning system all rolled into one. In a metropolitan area that’s been out of compliance with the Clean air Act for 27 years and counting over 14 million lungs are being held hostage by a state air quality monitoring system left over from the 1990’s. It’s being maintained by a state agency that’s run by polluters, officially thinks smog isn’t bad for you, and is cutting its air monitoring budget. There’s no desire in Austin to update this obsolete system and no money to do so. 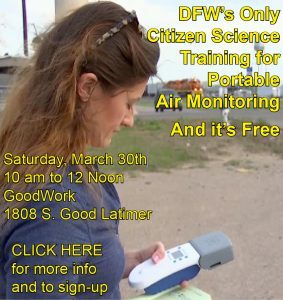 If DFW officials want to utilize 21st Century technology to help them clean their air, they’re going to have to build their own network of air monitors – exactly the proposal the DFW Air Research Consortium was trying to get funded with a National Science Foundation grant. Close, but no cigar. 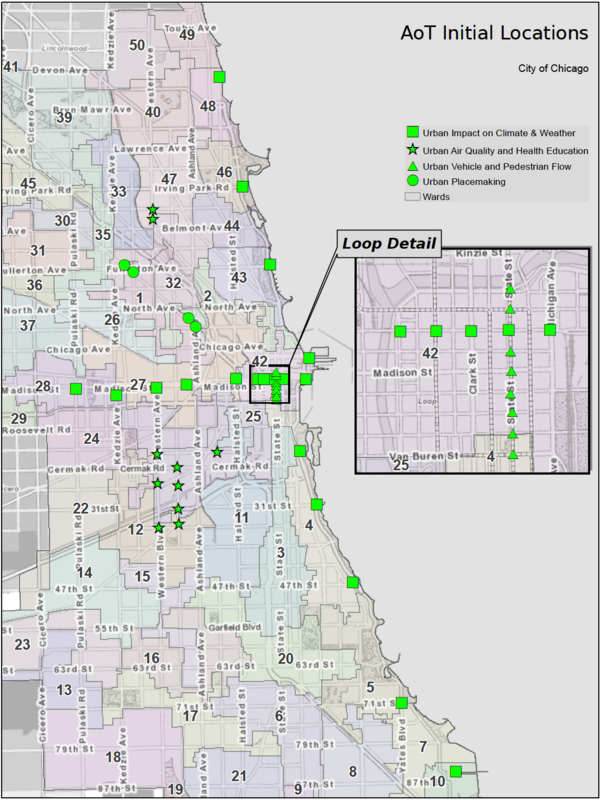 Without the NSF grant, local officials are going to need to get creative. Are there private businesses who might want to sponsor an app that could tell give you useful air quality info in exchange for naming rights: “Brought to you by the Nissan Leaf DFW Clean Air Network.” Are there local foundations that would contribute? What about local high-tech billionaire Mark Cuban? For less than a million bucks, DFW could have 500 Particulate Matter sensors that would be capable of of pinpointing a problem down to the street address. Baltimore, Chicago, Chattanooga, Louisville, L.A. , Oakland, and Lafayette, Louisiana are all way ahead of DFW in building out their own local dense grid of air sensors. They’ve done it with a combination of private, government and academic know-how and financing. We have as much, or more technical expertise and money than any of those locales and we should have more incentive given our chronic air pollution problem. There’s no reason we can’t build our own modern, more protective, more useful way of monitoring air pollution – even if the state isn’t interested. Not only can we do it, but in light of the events of October 19th, it should be considered a necessary act of public health self-defense.